Bobblehead giveaways are almost as much a part of baseball season as popcorn, home runs and Mike Trout-for-MVP talk. This year, that's no exception, but it's not just players who are sparking inspiration for custom merchandise at the ballparks. 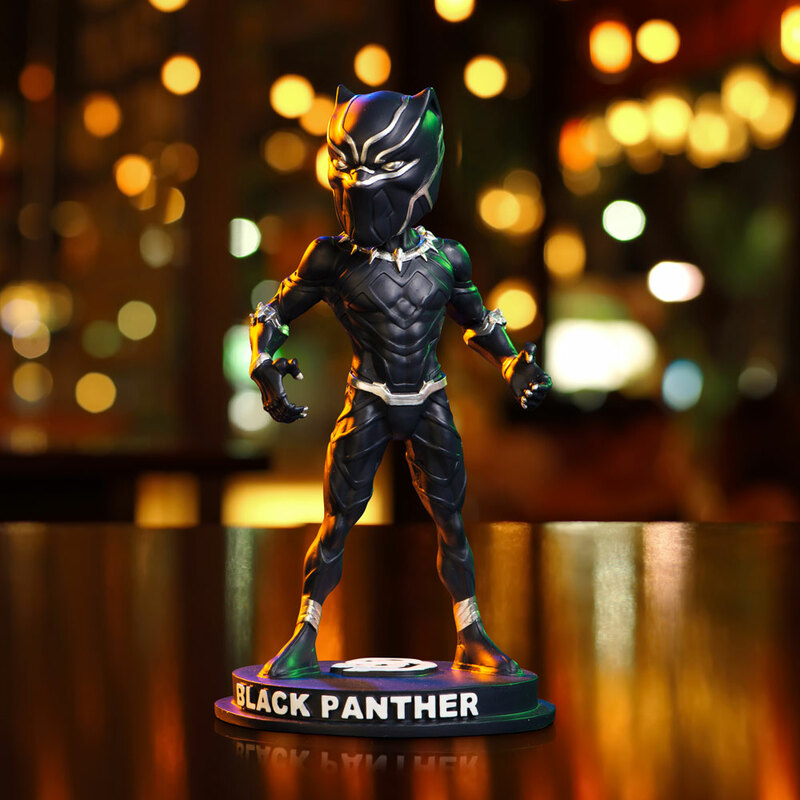 With Marvel's "Black Panther" and "Avengers: Infinity War" shattering box office records in recent months, teams have taken a deeper dive into the superhero bobblehead game. BDA, a merchandise agency behind everything from rebate prizes for Kellogg's cereal to marketing campaigns for the new "Ghostbusters," is helping MLB teams "Marvel-ize" players, teams and ballparks this year not only to capitalize on the superhero frenzy but increase interest in the game -- promotion nights, it says, are proven to increase sales and sold-out seats. Deemed baseball's "secret weapon to boost attendance," bobbleheads have been coming to MLB via BDA and its CEO, Jay Deutsch, for years. 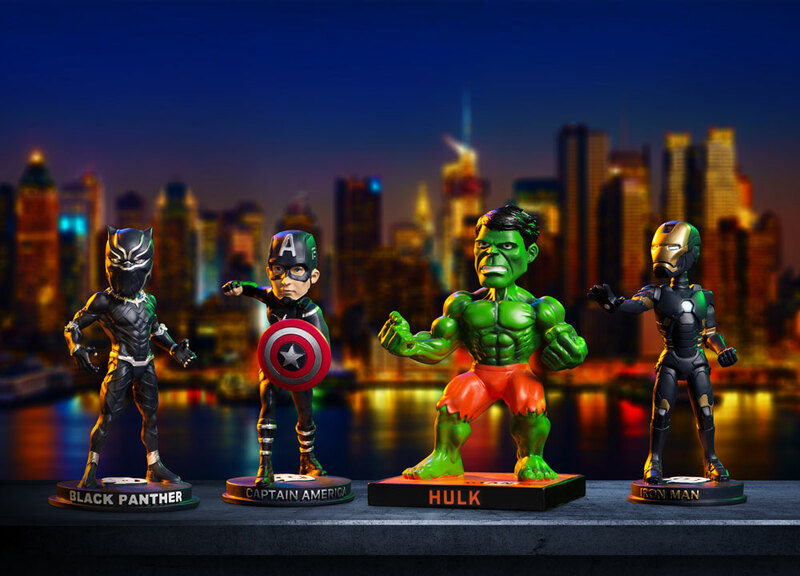 And with Summer 2018 quickly approaching, BDA shared with CBSSports.com all the best Marvel bobbleheads that have or will hit stadiums across the country, among other movie-based giveaways centered on "Star Wars," "The Sandlot" and even "Hello Kitty," this season. Click ahead and see for yourself. Nothing crazy about this one, which was part of the San Diego Padres' first Marvel Super Hero Day of 2018. Just an old-fashioned classic. 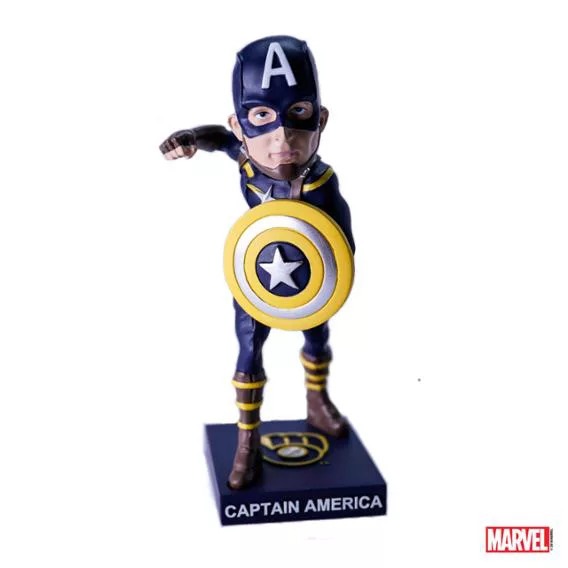 You get a standard Captain America with the Padres logo on the base. This was offered as an alternative to the Padres' Captain America. And it's got some flair. 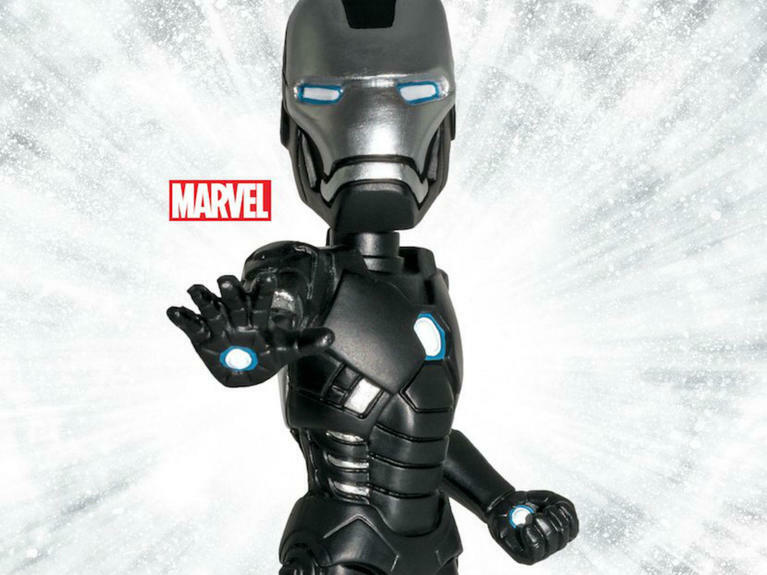 Whereas the Cap bobblehead stuck to the hero's traditional garb, this one puts Iron Man in the Padres' midnight blue, with a touch of gold. Cap's traditional colors blend better, but this one isn't short on customization, and it brings the Milwaukee Brewers theme to life. Everything from Cap's socks to his shield get that Brewers gold. 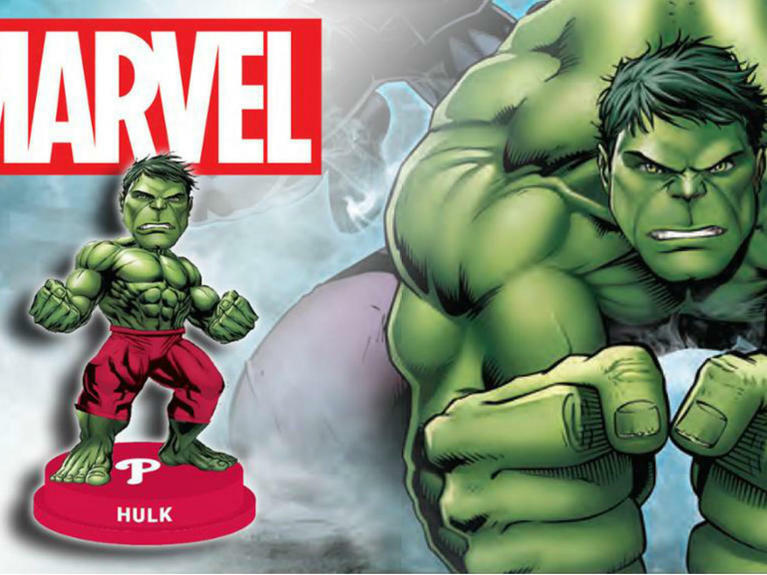 The first Incredible Hulk to hit the scene, this might be the best color clash of the bunch. 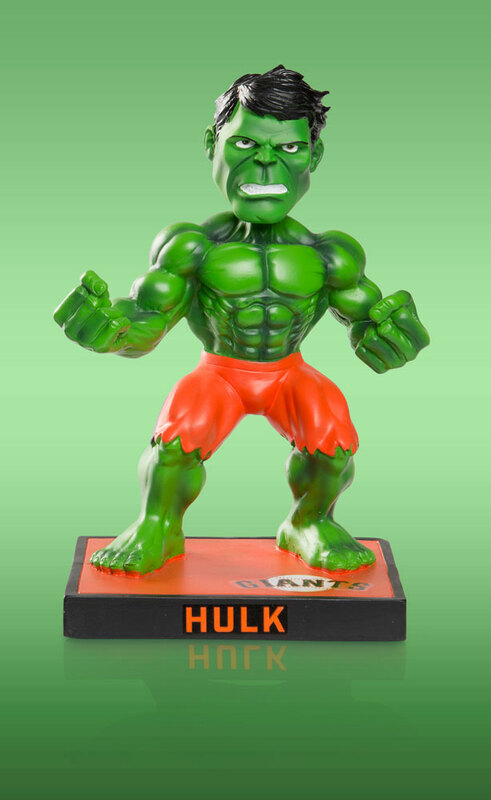 There's something dazzling about the bright orange of the San Francisco Giants shorts that goes well with Bruce Banner's bright green skin. There's not a whole lot you can do to Black Panther's costume without tweaking its all-black theme. But this works with the Oakland Athletics logo at the base. There's not a team that could mess with the coolness of T'Challa by simply presenting him as is. 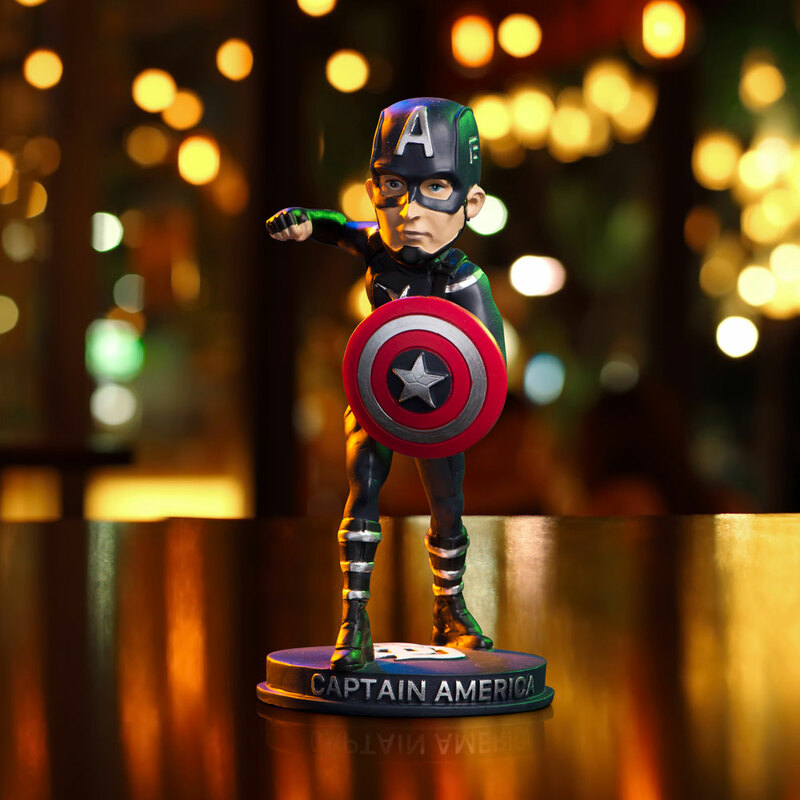 This is the third appearance by Captain America during the 2018 MLB season, but it might be the best. The Cincinnati Reds can seamlessly blend Cap's colors with theirs, and the red-striped socks fit right in. The boldest collaboration yet. This one combines Thor with Houston Astros mascot Orbit, and while the initial look doesn't necessarily spark images of Marvel's hero, it works perfectly as a character mashup. 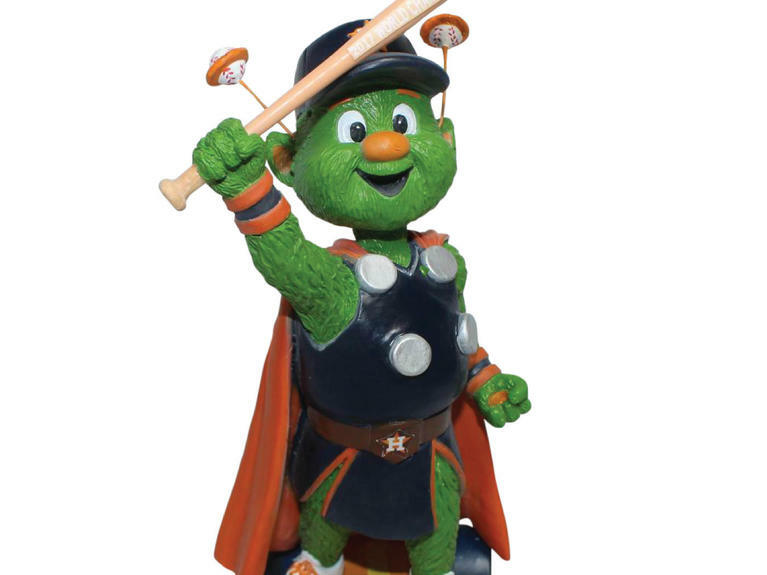 Orbit is a creature from space, and that's exactly what Thor is, too. The Padres strike again! This one -- a double (!) 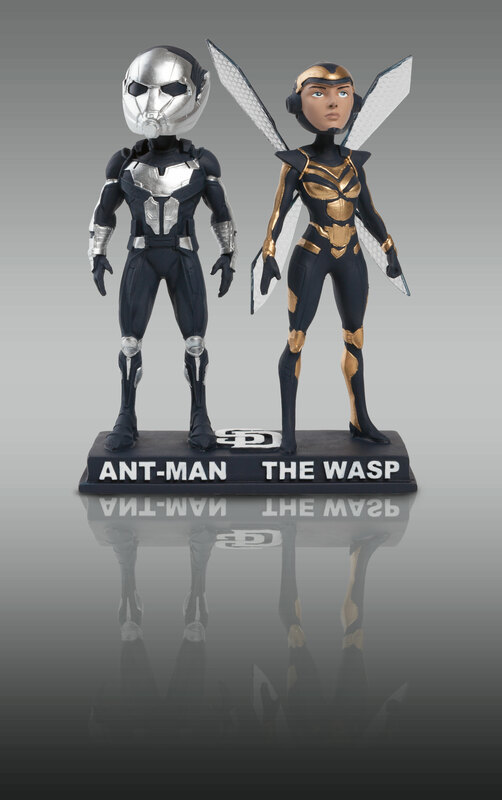 bobblehead -- drops weeks after Marvel's scheduled release of "Ant-Man and the Wasp." And it deserves just as many points for sleek color scheme as it does for sheer size. Like the Padres, the Chicago White Sox benefit from Iron Man looking good in just about any dark, silver-ish color scheme. Nothing wild about this one, but as was the case with the Padres' Captain America, that's OK. The Pittsburgh Pirates could've gone with yellow for the shorts, but the black complements the Hulk green just fine. This one should take the cake because it's almost too good to be true. The New York Mets' Noah Syndergaard is literally called "Thor," so the combination works. The biggest question, though, is whether he'll even be healthy when the bobblehead drops. This one works just as well, if not better than, the Giants' Hulk. Bright red Philadelphia Phillies pants look pretty good on the green machine, plus Philly fans can use it to double as an Eagles collector's item. 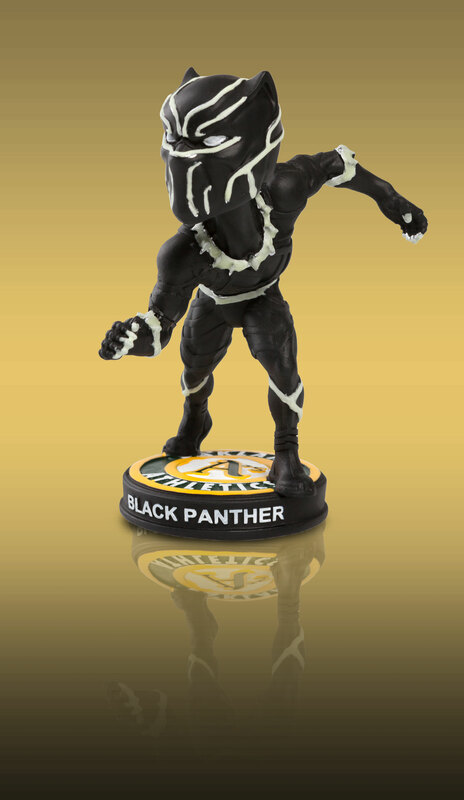 The Padres round out their Marvel fest with Black Panther. And the confident, toned pose he strikes in this one seems a tad cooler than the one used by the Athletics. Original story published in CBS Sports.